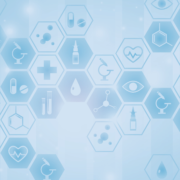 It is used for the preparation of applications for new drugs that need to be submitted to the regional regulatory authorities in all participating countries across Europe, Japan and the United States. The paper CTD is destined to be replaced by the electronic version, called eCTD, and makes regulatory review processes easier. The CTD is organized into five modules. Module 1 is region specific and modules 2, 3, 4 and 5 are intended to be common for all regions. 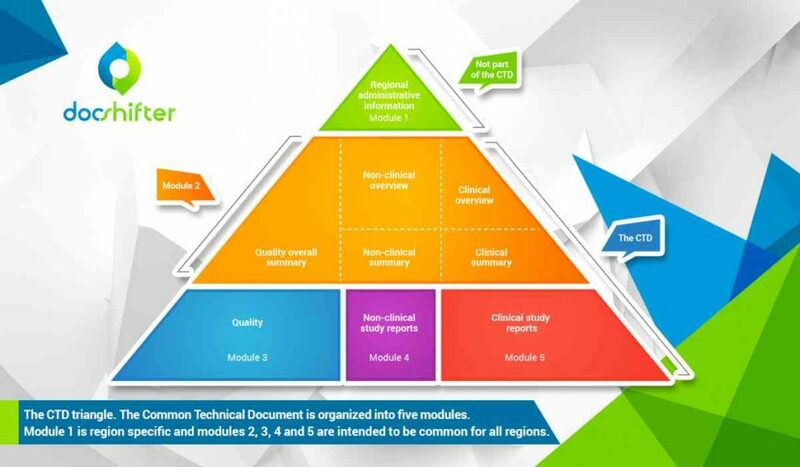 Module 1 is not part of the CTD and contains administrative information and prescribing information that is region specific. These documents can be forms, cover letters, labels, brochures, etc. 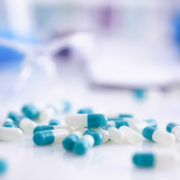 Module 3 is the quality of the pharmaceutical documentation. For example, everything from the drug substance information (name, manufacturer), to the drug product information (name, dosage form, formula, …). 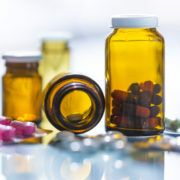 Module 4 consists of the non-clinical study reports like pharmacology and toxicology. 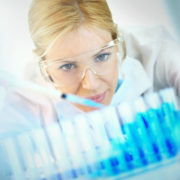 Module 5 contains clinical study reports, like clinical trials. How can DocShifter help you? Are you a pharmaceutical or biotech company and are your interested in an eCTD publishing solution? DocShifter offers a Hi-Fidelity module that has been developed just for this purpose. Learn more about that module by contacting us via hello@docshifter.com and one of our experts will set up a time to talk about your particular compliance issue.